Joseph Francis Myerchin was born December 17, 1899 on the farm of his parents, John Myerchin and Dorothy (Dorothea) Vanyo near Tabor, Minnesota. 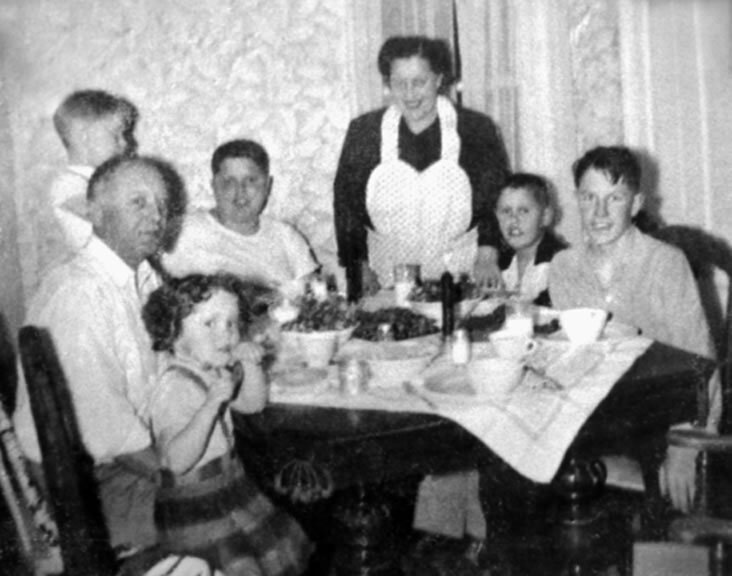 He suffered a sudden, fatal stroke at home, surrounded by his family, December 29, 1955. Burial is next to his wife, Laura Schiller, and infant son, Schiller, in St. Rose of Lima Cemetery, Argyle, Minnesota. Laura Lena Schiller, the daughter of Hector Schiller and Donalda Sourdif(f), was born November 21, 1904 on the family farm near Argyle, Minnesota. She died July 27, 1970 in St. Michael's Hospital, Grand Forks, North Dakota from complications following her heart attack. Laura, a surgical nurse, met Joseph while assisting during his appendectomy at Warren General Hospital. 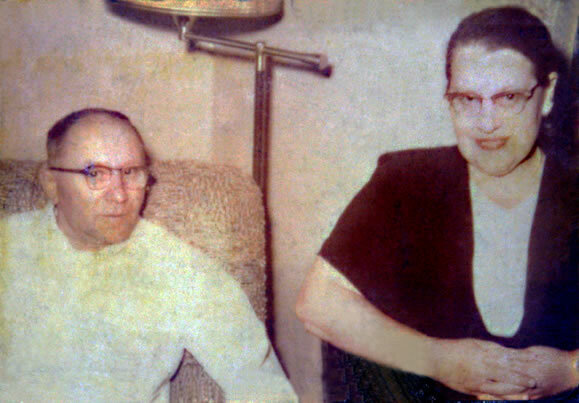 They were married November 29, 1934 in St. Rose of Lima Catholic Church in Argyle, Minnesota. Their six children are: Schiller, born 1936 died 1936; Thomas, born February 5, 1937; Philip, born December 27, 1937; John, born March 11, 1941; William, born November 18, 1947; and Catherine (Marsha), born October 25, 1948. Their first home was in Grand Forks. Joseph worked for the local brick company as a carpenter and Laura nurtured their children. Joseph's sister, Emily, lived with them and helped with the children, until she contracted tuberculosis and was required to move into the "Sand" (sanitarium) near Crookston, Minnesota. In order to obtain a better job, Joseph moved his family to Bellflower, California, a suburb of Los Angeles, in the early forties. The family enjoyed California and would have continued to live there if not for the smog. The polluted air inflamed Joseph's sinuses. Although various doctors treated Joseph's sinus problem over a two-year period, no effective "cure" was found. For Joseph and the family, the obvious way to alleviate his discomfort was to move back to Grand Forks. Soon after their arrival they purchased a home on Almont Street and Joseph worked as a milkman for the Minnesota Dairy. Joseph, a farmer's son, yearned to return to the land and finally found an opportunity in 1946. Joseph and Laura purchased a farm, 270 acres, 3.5, miles west of Middle River, Minnesota and a half-mile west of Laura's sister and brother-in-law, Armeline and Arthur Loranger. After acquiring livestock Joseph began raising cattle, milking shorthorns, and growing feed grains. Needing lumber for improvements and an improved cash flow to cover winter expenses, he set up a timber operation on the farm. Soon after, logging and lumber production produced most of family's income and farming moved into a part-time occupation. Cutting timber, sawing logs and selling lumber required extra help so Peter Schiller, Laura's younger brother, was invited to "join" the family on the "farm." Joseph and Peter worked together cutting commercial timber from the farm and surrounding area. By 1948, the best trees had been cut and processed; the family was faced with choosing between surviving as a traditional farm family or leaving for greater opportunity. Their decision was to sell the farm and buy a home in or near Grand Forks, the nearest university town. Initially, they acquired a small house on 5 acres in the "Point" section of East Grand Forks, Minnesota and eventually settled, one year later, at 505 North Fourth Street, Grand Forks. 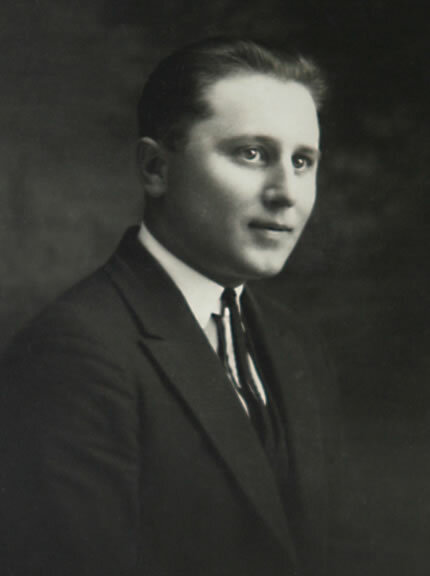 Joseph was employed as a bartender/day manager by his brother-in law, Emil Kresl, at the Riviera Lounge and continued working until his first stroke in 1953. Joseph Myerchin, age 53, as he arrived  home from work at the Riviera Lounge. John, his son , snapped the photo as he stepped in the door. The last known photo of Joe and Laura Myerchin together. Two years later, severely paralyzed, Joseph fell from his chair during a reunion dinner and died quickly from a massive stroke. Fortunately, Laura's sisters, Armeline and Cecille, were present to help the family through the shock of Joseph's death. are Jack, 16, student at St John's Minor Seminary at Collegeville, Minn; Mrs Myerchin; and Marsha 8.
called to congratulate her success. Besides maintaining a home, raising five children, and caring for her ill husband, Laura completed her B.A. degree from the University of North Dakota in the spring of 1957. She quickly obtained employment teaching English and French at Lincoln High School in Thief River Falls, Minnesota. She retired in the mid sixties after suffering a partially blocked carotid artery and moved back to the farm (then owned by her son, Philip) near Middle River with William and Catherine. When Bill and Marsha left for college, she moved in with her son and daughter-in-law, John and Angie Myerchin, who looked after her until they could no longer provide adequate care. 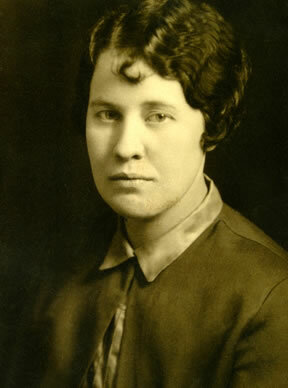 Her deteriorating health forced her to enter St. Ann's Guest Home in Grand Forks. There she suffered a heart attack on July 27, 1970 and died later that day in St. Michael's Hospital.